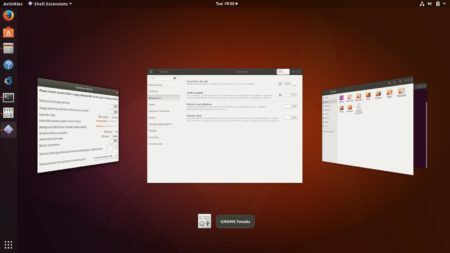 This quick tutorial will show you how to get a Windows Aero Flip 3D style ‘Alt+Tab’ task switcher in Ubuntu 17.10. 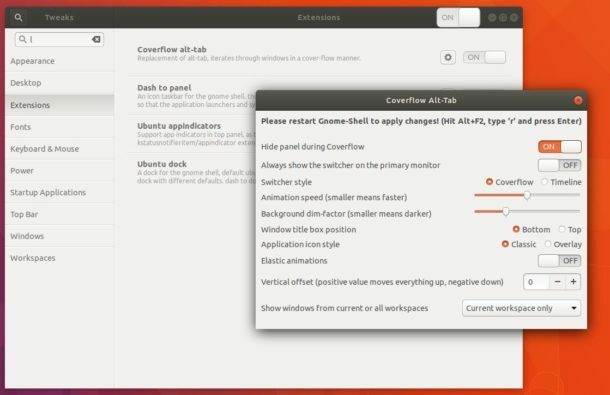 While Ubuntu 17.10 has switched to Gnome Shell, this can be done easily via an Gnome Shell Extension called ‘Coverflow Alt-Tab’. 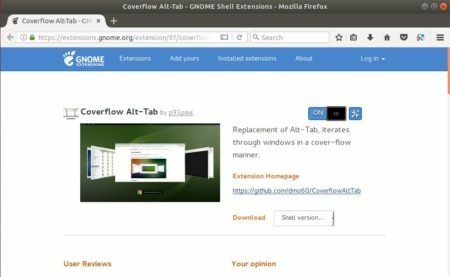 For Google Chrome, Chromium, and Vivaldi, install add-on via chrome web store. For Firefox, install add-on from Mozilla Addons site. 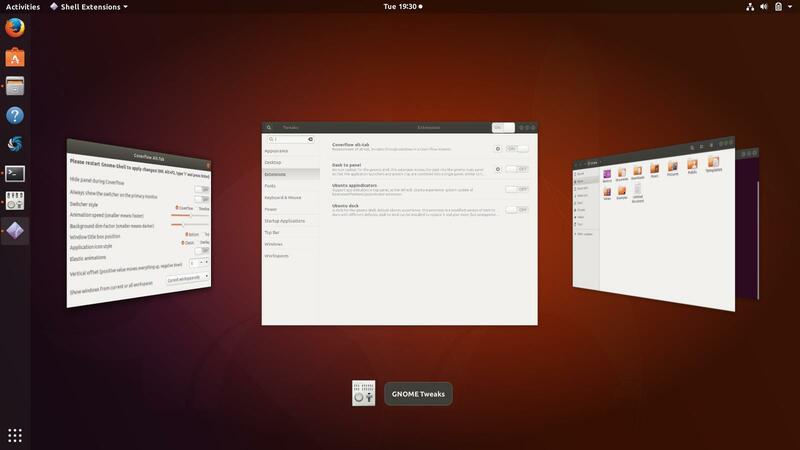 For Opera, install it from Opera Addons site. 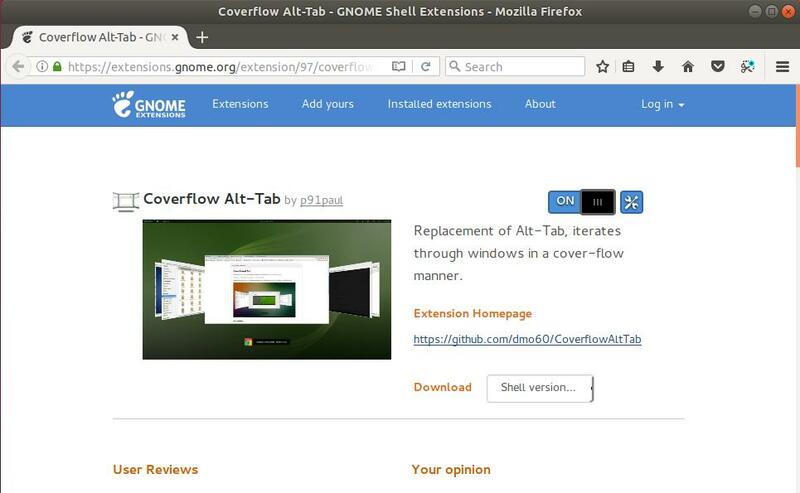 Finally in your browser, go to coverflow-alt-tab extension page, turn on the switch to install the extension. Once installed, press Alt+Tab keyboard shortcuts to view results. To configure the extension, install Gnome Tweaks via Ubuntu Software app, and click the gear button in Extensions tab. ml is a part time stay-at-home dad who've been using Ubuntu Desktop for a few years. 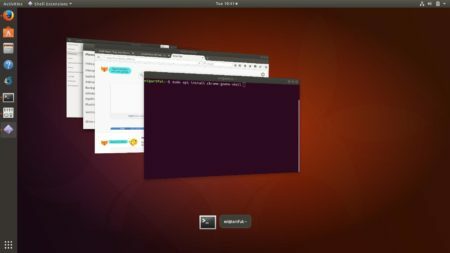 He writes in the free time and wishes to share some useful tips with Ubuntu beginners and lovers.